George Karl is a retired basketball coach who coached the Cleveland Cavaliers, Golden State Warriors, Seattle Supersonics, Milwaukee Bucks, Sacramento Kings and Denver Nuggets. Karl signed with the ABA’s San Antonio Spurs after a successful college career at the University of North Carolina. After the Spurs joined the NBA in 1976, Karl played for another two years before becoming an assistant coach with the team. 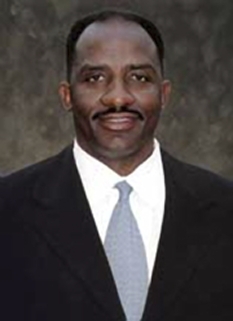 He then moved onto the Continental Basketball Association (CBA) as head coach of the Montana Golden Nuggets , where he was named CBA Coach of the Year twice, in 1981 and 1983. In 1984, George Karl became head coach of the NBA's Cleveland Cavaliers until he was fired in 1986. He then coached the Golden State Warriors, where he led the Warriors to a first-round upset in his first season. 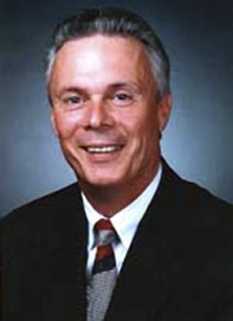 After being fired in 1988 after a tough start to the season, Karl returned to the CBA in 1988 as coach of the Albany Patroons, winning the coach of the year award in 1989. He also spent two years in Spain coaching the Real Madrid basketball team. 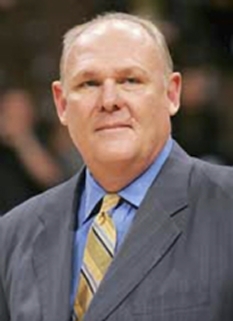 George Karl returned to the NBA as coach of the Seattle SuperSonics from 1991-1998, leading them to the NBA Finals in 1996 where they lost to the Chicago Bulls in six games. 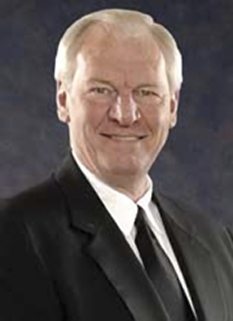 During Karl’s tenure in Seattle, the Sonics averaged 59 wins per season and won 357 games – second only to Chicago during that span. He led the Sonics to three 60-win season, had just one losing month and never had a losing streak longer than three games. Only three coaches have led their teams to more 60-win seasons in NBA history: Pat Riley (seven), Phil Jackson (six) and K.C. Jones (four). 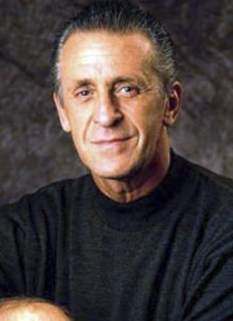 In 1998, Karl was named head coach of the Milwaukee Bucks, where he rebuilt a struggling team in his first three years, steadily increasing win totals and guiding the team within one game of the NBA Finals in 2001. 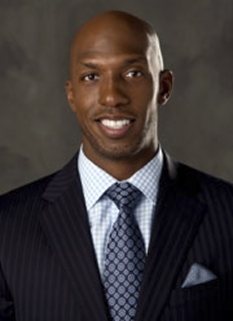 He was fired from the Bucks in 2003 and, after serving as an NBA analyst for ESPN, returned to the league in 2005 when he was named head coach of the Nuggets. Among George Karl’s coaching achievements include becoming the fifth coach in NBA history to lead at least three different teams to division titles and being the 12th-winningest coach in NBA history with 784 wins. In fact, of the 11 men ahead of him on the all-time wins list, only four - Phil Jackson, Red Auerbach, Pat Riley and Jerry Sloan - have a better winning percentage. 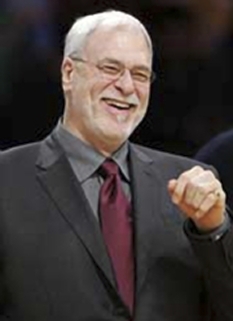 Karl has earned numerous accolades during his coaching career, including nine Coach of the Month honors, which ties him with Phil Jackson for second-most in NBA history. A prostate cancer survivor, Karl has three children – daughters Kelci and Kaci Grace and son Coby. DISCLAIMER: PFP Sports Talent Agency does not claim to represent itself as the exclusive agent for George Karl. PFP Sports Talent Agency is a booking agency that represents organizations seeking to hire pro athletes and sports personalities such as George Karl for speaking engagements, personal appearances, product endorsements and corporate entertainment. Fees on this website are estimates and are intended only as a guideline. Exact fees are determined by a number of factors, including the location of event, the talent’s schedule, requested duties and supply and demand. PFP Sports Talent Agency makes no guarantees to the accuracy of information found on this website and does not warrant that any information or representations contained on this website will be accurate or free from errors. We are often asked how can I find out who is George Karl's agent? To find George Karl appearance fees and booking agent details, you can contact the agent, representative or manager through PFP Sports Talent Agency for speaking fee costs and availability. PFP Sports Talent Agency can help your company choose the ideal sports personality for your next marketing campaign. To hire George Karl for an appearance, speaking event or endorsement, contact George Karl's booking agent for more information.